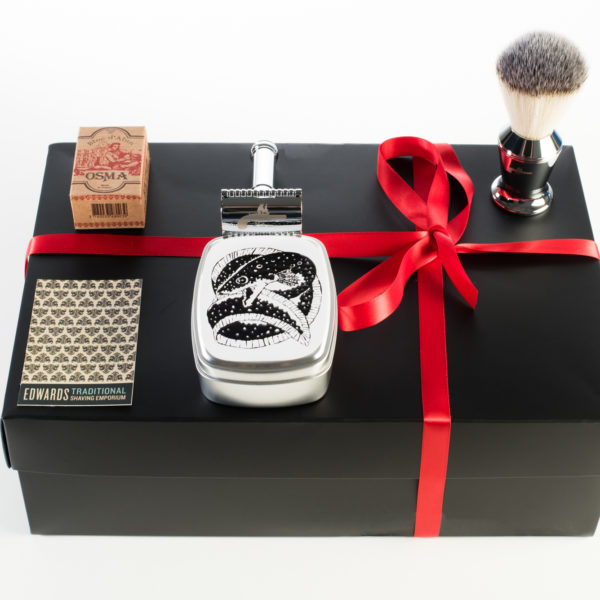 The Christmas 5 piece traditional shaving bundle. Is what a real man wants for this year. If he doesn’t, perhaps he has not seen one yet. 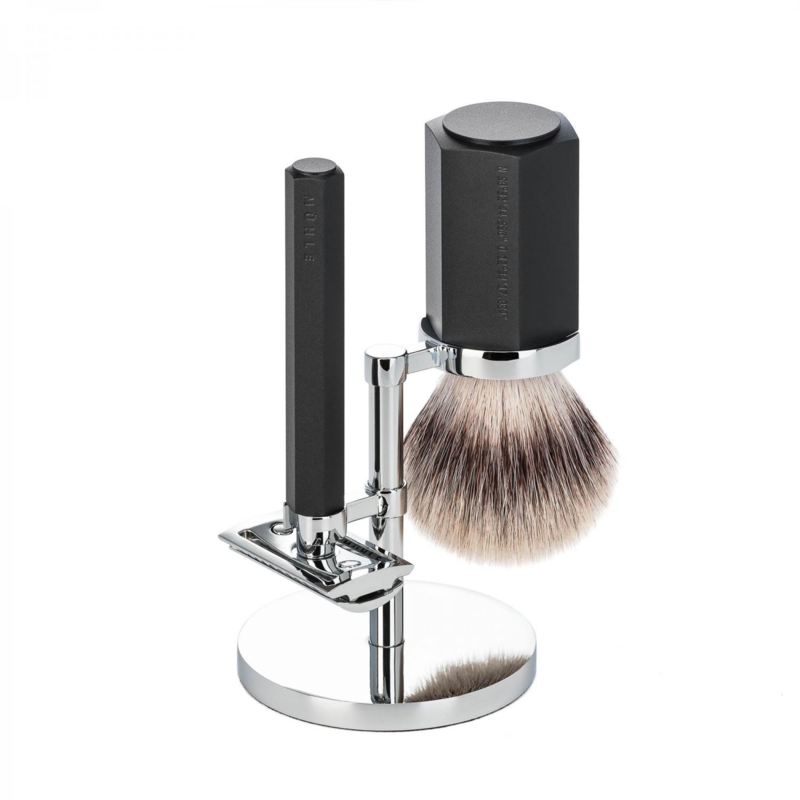 But If you were to buy him this shaving kit. 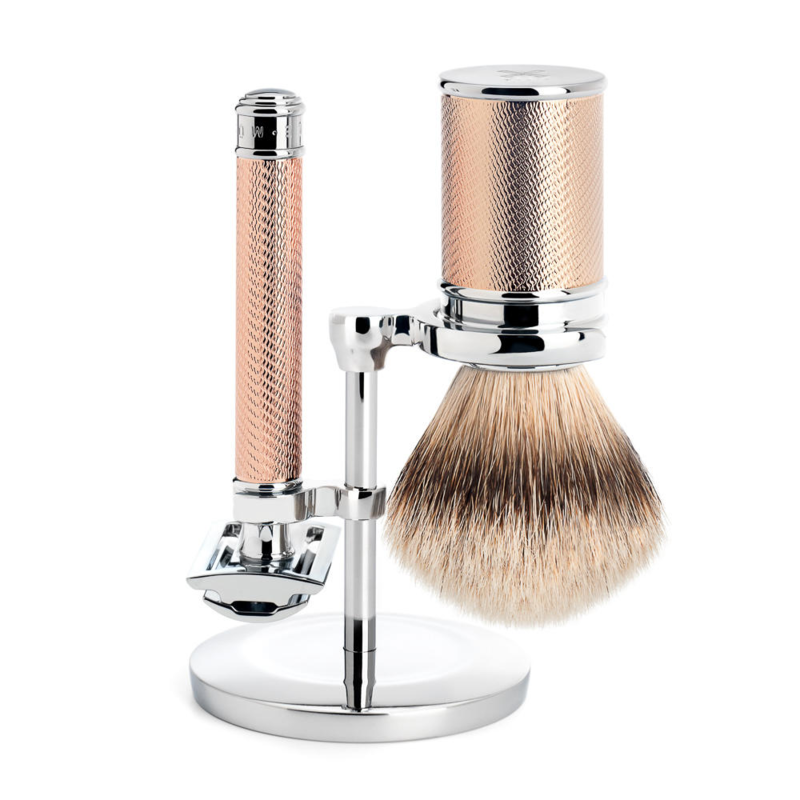 His happiness will be so very massive at the sight of his Edward’s traditional shaving brush and safety razor. Both are made of high end chrome these really are products for life. The hair on the brush Is faux badger so you won’t get flack from your vegan mates. Also The safety razor Is middle aggressive, coming with 10 feather blades probably the most desired DE blades on the market. 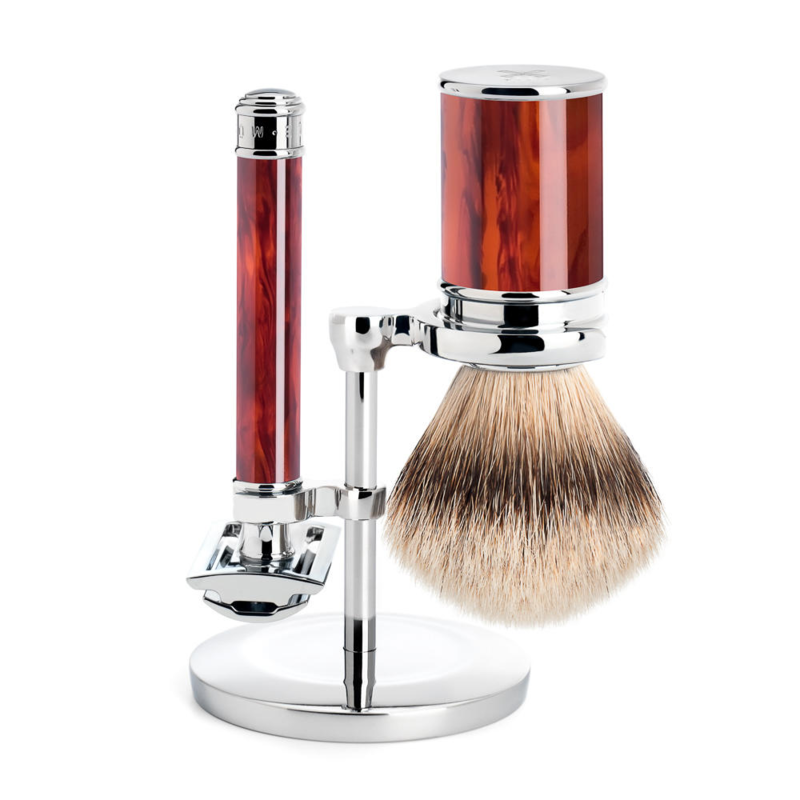 The brush and razor sport the Edward’s logo on both Items. The set also contains Edwards traditional shaving soap. This will last well over six months. This clay based charcoal and sea salt soap, Is totally natural and handmade. Also charcoal is known as an antioxidant used first In the 19th century. Whilst sea salt heals damaged skin. Topped all off with a rather fabulous gin and tonic sent. It’s an East London themed soap. We have also Included a rather smashing alum block from Osma. This unusual traditional shaving Item seals cuts and soothes skin in crystal form. This well presented set comes In a matted satin box tied off with a red silken ribbon, which we think Is rather lovely. 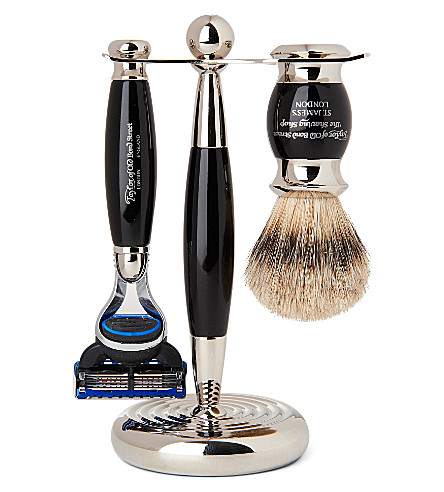 Christmas 5 piece traditional shaving bundle, By Edward.